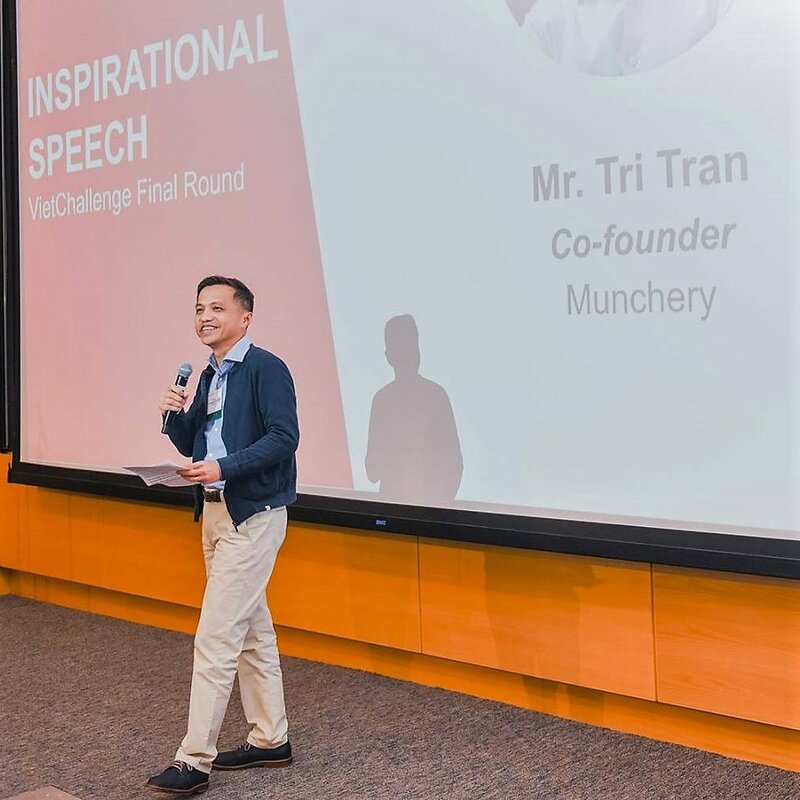 I judged Viet Challenge, a startup competition of Vietnamese and Vietnamese-American entrepreneurs, last weekend. The featured speaker was Tri Tran, who came to the US as a boat person after the Vietnam War and has had great success here as a startup executive. As Tran noted, he has been part of startups at every phase. His latest company is Munchery, a healthy food delivery service he literally started in his kitchen that now is worth more than $300M. Tran’s talk was full of valuable, from-the-trenches wisdom. Here is my distillation of some of the key things he said. Learn to say no to almost everything. Tran emphasized that saying no is the single greatest skill an entrepreneur must master. The path to success, he argued, derives from your specific product and sales plan. Absolutely nothing else matters. This isn’t some long-term airy strategy; this is your plan for the next three months or six months or one year. It is your specific order of battle to get the company to its next key milestone. And so, you must force yourself to say no to almost everything else. Say no to that ego-stroking speaking engagement, if it doesn’t directly feed the plan. Say no to those nifty new features your engineers are in love with. They aren’t in the plan. Say no to any new hire that isn’t essential for the plan. Say no to every penny spent that doesn’t contribute to the plan. Become Dr. No. Distraction in every form is your enemy. The plan is inviolate - until it changes. While, Tran emphasized, your milestone plan must be complete and inviolate, it can change. In fact, it must change if the market feedback is negative, as it so often is in a startup’s early days. So, you need to believe in your plan, but also be open to changing it. When that happens, you should gather your key team around you, look at the facts unsparingly, as a group develop what you feel is the best response, and then craft together a new plan to supplant the old. The plan is always true but isn’t necessarily the plan you started with. Learn from the market, but always respond in the context of your plan. Treat you first 100 customers like gold. Tran explained that he personally delivered the Munchery orders to his earliest customers in San Francisco. He did this in part because the company had no money yet to hire delivery staff. But even more so, he did it so he could meet and talk with the human beings who had actually responded positively to his initial offer. Who were they? Why did they respond positively? What did they like? What didn’t they like? Were there kids in the house? Big house? Small house? Partners? Singles? Everything he could learn from these early customers fed back into making his offering better and his company more efficient. Entrepreneurs should cherish everyone who responds to them early on and learn all that is possible from them. Remember, your job is creating enterprise value. The biggest thing he didn’t know until becoming a startup CEO, said Tran, was the real nature of the job. He noted to the competition participants that a startup CEO’s only job is to build enterprise value. When he started Munchery, he didn’t even know what that phrase meant. Now he understands that the startup CEO has to inject financial energy into the business in order to make it continuously more valuable. Certainly, this derives from products. But products must produce revenue. And, beyond revenue, the company must create unit economics (revenue per customer, expense per employee, etc.) that strengthen over time. Only in this way can the CEO generate the kind of power that attracts later stage investors. Or even better, can produce the economics of growing profitability that lets the company grow on its own merits, without dependence on outside investors. Focus on the plan. Say no to everything outside it. Always have a plan but be open to change. Cherish your early customers. Remember that it is all about enterprise value. Keep to these watchwords, and you will maximize your chances for success. These are Tran’s lessons and I couldn’t agree with them more.